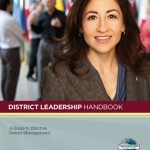 There’s a wealth of information available to District Leaders. These resources will help you to make the most of your leadership role. They’ll help you to run training events, complete reports, engage more fully in PR and more. Here is a quick list of the top resources available to you. The second round of District Officer Training will be held on Saturday the 23rd of January 2016 at the London Business School. Resources from that session will be made available here in due course. Resources for all Club officer training sessions are available for download from Toastmasters International: Club Officer Training Materials. The key page on Toastmasters.org, with links for new club info is https://www.toastmasters.org/Membership/How-to-Start-a-New-Club. Finally, check out the TI website for a range of Leadership resources.